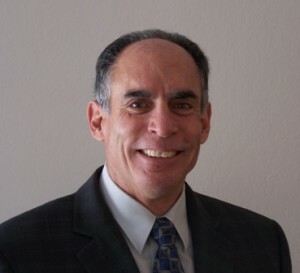 In order for our members to know the individuals who serve them at the national level, NASDCTEc presents a blog series called â€œMeet Your Board Members;â€ today we are featuring Mike Raponi, Region IX Representative, and State Director of Nevada. Region IX encompasses Arizona, California and Nevada. Mike Raponi has worked in technical education for over twenty-seven years as a teacher and program administrator, including his current position as director for the Office of Career Technical Education (CTE) at the Nevada Department of Education. He has a bachelorâ€™s degree in industrial education from the University of Wisconsinâ€“Stout and a masterâ€™s degree in adult education and from Oregon State University. Mike also holds a school administration endorsement. At the Department of Education, Mike is responsible for staff supervision, grants administration, and program development for CTE and adult education. His primary focus for CTE has been the development of common state standards, common course names and sequences, end-of-program assessments, curriculum frameworks and programs of study for all of CTE. This work is to provide the infrastructure to support state-level priorities for economic and workforce development. Mikeâ€™s background includes time spent in the grocery and construction industries, and service as a Peace Corps volunteer in Honduras. Mr. Raponi said his states’ work in developing a common set of standards for employability skills based on the twenty-one Workplace Readiness Standards established by the Commonwealth of Virginia, was recently adopted by the Nevada State Board of Education. When asked for his goals as NASDCTEc Region IX representative, Mr. Raponi said he was excited to move forward on initiatives to help CTE nationwide, and to assist states in achieving goals of the new vision for CTE. Mr. Raponi brings a rich history of CTE knowledge to the table and can be reached at mraponi@doe.nv.gov. This entry was posted on Thursday, October 25th, 2012 at 4:19 pm	and is filed under Advance CTE Announcements, Advance CTE State Director. You can follow any responses to this entry through the RSS 2.0 feed. Both comments and pings are currently closed.